CP Huntington maneuvered, with the help of Hopkins interests and acquiescence of Crocker interests, to have himself elected President of SPCo in place of Leland Stanford, who had been President of SPCo since its founding in 1884. At the meeting Charles F (Fred) Crocker elected 1st VP; AN Towne, the General Manager, elected 2nd VP; and JC Stubbs, the Traffic Manager, elected 3rd VP, with all being made directors of SPCo as well. CP Huntington corresponded with all three regularly, but viewed Charles F Crocker as weak, while Crocker had his own complaints about CP Huntington. Another important SPCo official that CP Huntington relied on in San Francisco was WH Mills, head of the SP land company and a nephew of Mark Hopkins. SPCo board appointed HE Huntington as First Assistant to the President, and representing the President in San Francisco in his absence. At that time the family representatives in the SPCo management were as follows: CP Huntington (of course) representing the Huntington interests; Leland Stanford representing the Stanford interests; Charles F Crocker (eldest son of Charles Crocker who had died in 1888) representing the Crocker interests; and Edward T. Searles, second husband of Mark Hopkins’ widow representing the Hopkins/Searles interests, Mark Hopkins having died in 1878 and his widow died in 1891 – the Hopkins/Searles interests actually controlled by New York lawyers (General) Thomas H. Hubbard and Thomas E. Stillman who were friendly to CP Huntington. CP Huntington purchased (in his wife, Arabella’s name) the San Francisco Nob Hill mansion formerly the property of David Colton. J Krutschnitt (sic), General Manager, Atlantic System, Houston. Jane Stanford wanted cash to settle Leland Stanford’s estate and bequests. She refused to sign any notes for SPCo or to use her portion of SPCo’s securities as collateral for essential loans, as did CF Crocker. CP Huntington negotiating a line of credit with Speyer & Co for $5-10 million – with good collateral, 6% interest, and commission – to see SPCo through the depression. In 1893-94 many banks closed and many railroads went into receivership, including the Union Pacific, Northern Pacific, and Santa Fe. SPCo came close to failing in 1893, but managed to avoid it. HE Huntington’s brother, Willard Huntington, who had been an official with SPCo in San Francisco for some time, also lost his salary at this time. CF Crocker resigned as President of Pacific Improvement Co, and HE Huntington elected President in his place. Pacific Improvement Co held the securities that represented the major wealth of the four associate families and their ownership of SPCo. HE Huntington elected a director of Wells Fargo & Co. HE Huntington engineered a major consolidation of San Francisco street railways, combining control and management of the City’s largest system, SPCo owned Market Street Railway, with the next largest one, the Powell Street system, with HE Huntington in control. Election of new President of Central Pacific to replace the late Leland Stanford. CF Crocker, 1st VP, declined and suggested HE Huntington, who was elected President. CF Crocker announced to CP Huntington by letter that the principal owners of the CP (and SPCo?) needed to discontinue their active business association and make a financial settlement among themselves. The foreign stockholders of CPRR strenuously objected to SPCo dictating policy to CPRR, through the London office of Speyer & Co. Speyer & Co also expressed serious doubt about the financial strength of both CPRR and SPCo, and CP Huntington’s personal financial situation, and declined to handle any more securities under the current situation. HE Huntington resigned as President of CPRR, and both he and CF Crocker resigned as directors of CPRR. Isaac Requa, head of the Oakland Bank of Savings, elected to succeed HE Huntington as director and President. Representatives of the four principal owning families met in San Francisco and agreed to work together and sign notes for financial support of the SPCo, greatly improving the view in New York financial and securities circles. Strike of the American Railway Union (ARU) against the Pullman Company began in Chicago. Part of the strike was for ARU members on various railroads not to handle any Pullman cars. Strike reached San Francisco on June 27. HE Huntington sent CP Huntington a telegram urging “a fight to the finish.” CP Huntington sent AN Towne a hard-line telegram directing that all employees who refused to take out trains should be fired, and told they would never be hired again. ARU ordered a general strike against SPCo. HE Huntington wrote a 3,000 work essay putting the SPCo case before the public, published in many newspapers. It took a very narrow view of SPCos’ public responsibility and was not well received. Troops (State Militia?) called out. Riots July 2-3. HE Huntington sent a telegram to CP Huntington urging him not to send any more conciliatory messages to AN Towne. He reported he was working hard to keep General Manager Towne and General Superintendent JA Fillmore backing down and giving any concessions at all to striking employees. Of course, Towne and Fillmore only were doing the same thing they had done in the past that had successfully kept major strikes from happing on the SPCo. HE Huntington reported to CP Huntington that a mob of 1500-2000 people had broken into the SP yards in Sacramento, captured a train, and switched cars around. The National Guard (State Militia? )was ordered out. SPCo employeed told to return to work by 4:00 pm or consider themselves terminated. A train on the Yolo Causway west of Sacramento was intentionally derailed, with 5 people killed (including US Railway Post Office employees in the mail car). HE Huntington reported to CP Huntington that the ARU strike against SPCo was over. He reported that only about 5% of engineers and conductors went on strike against the SPCo. JA Fillmore, General Superintendent of SP, appointed 2nd VP of SPCo. Julius Kruttschnitt appointed General Manager of SPCo. WG VanVleck, Manager, Atlantic Properties, New Orleans. Foreclosure sale of Union Pacific Ry in Omaha frees UP from its debt obligations to Federal government.  Reorganization put together by Jacob Schiff, of Kuhn, Loeb & Co. New Union Pacific Railroad (UPRR) chartered in Utah, incorporated for the purpose on July 1, 1897. (Utah corporation number 2083) The organization of the new Union Pacific had been approved by an act of the Utah Legislature on January 22, 1897. (Poor’s, 1929, p. 1051) The new Union Pacific took possession of the old Union Pacific on January 31, 1898. (Trottman, p. 269). Winslow S. Pierce, chief counsel of George Gould, was Chairman of the board; Horace G. Burt from the Chicago & Northwestern was President. EH Harriman was on the board, and a member of the executive committee. EH Harriman named chairman of the UPRR executive committee. Union Pacific control of the Oregon Short Line cemented. At suggestion of General Hubbard, CP Huntington asked HE Huntington to resign as President of Pacific Improvement Co so that George Crocker could be appointed to that position. HE Huntington resigned as a director of SPCo. Settlement between Central Pacific Railroad and US Government for CP to repay bonded indebtedness to Government through 20 promissory notes, to be paid successively every 6 months for ten years. Central Pacific Railway incorporated as successor to Central Pacific Railroad as part of reorganization to issue new bonds to secure debt to government. Harriman secures agreement with Northern Pacific giving Union Pacific control of Oregon Railroad & Navigation. CP Huntington negotiated the buyout of the Crocker and Stanford interests, at a price they gladly accepted, by his investment banker, James Speyer & Company, buyout beginning this month. Purchased was leveraged by debt by SPCo through sale of a bond issue handled by Speyer & Co.
CP Huntington wrote HE Huntington saying that Speyer & Co wanted the SPCo board composed mostly of (their) people in the East, to have a new person as 1st VP in San Francisco, and for HE Huntington to be assistant to the President (again). HE Huntington wired CP Huntington in response that with his experience he could not accept the position offered, that with some other 1st VP in San Francisco there would be no use in his remaining there, and suggesting that (under those conditions) he be left out of the question entirely. HE Huntington and Julius Kruttschnitt ordered to leave San Francisco for New York for consultations. George Crocker officially resigned as 2nd Vice President of SPCo, although he had been gone since around the previous October (thus some of the confusion and uncertainty in the San Francisco office prompting correspondence between CP Huntionton and HE Huntington mentioned above). CP Huntington comes to San Francisco by private train. HE Huntington also returns in his own car in the same train, and resumed work with SPCo. At SPCo board meeting, HE Huntington elected a director, and appointed 2nd VP (filling George Crocker’s place), with General Hubbard (based in New York) remaining as 1st VP. All other directors from California – Kruttschnitt, Stubbs, and three others – had to step down to make room for new directors form the East chosen by Speyer. CP Huntington and Speyer & Co bought out the Hopkins/Searles interests and removed General Hubbard, electing HE Huntington as 1st VP of SPCo. Charles H. Tweed, CP Huntington’s New York lawyer and friend, elected 2nd VP. Death of CP Huntington at his camp, Pine Knot, in the Adirondacks. HE Huntington went directly to New York. CP Huntington will, signed March 13, 1897, made public. Arrabella Huntington, Edwin Gates, and Charles Tweed executors. Nearly 2/3 of SPCo stock (and other assets) to wife Arabella Huntington, and 1/3 of SPCo stock (and other assets) to nephew HE Huntington. SPCo Presidential selection committee consisted of Charles H Tweed, DO Mills, and James Speyer. Charles H Tweed selected as Chairman of SPCo. Charles M Hayes, then general manager of the Grand Trunk Ry of Canada, selected as President at the insistence of Sir James Rivers Wilson of London, a leading foreign investor in Speyer’s activities. HE Huntington returned to San Francisco from New York, where he had largely been since August handling matters. Resumed SPCo duties. Briefly returned to New York in Dec 1900 for consultations with Tweed and Hayes. Rumors circulating that the Huntington SPCo stock was for sale, with various buyers mentioned, including the Vanderbilts, JP Morgan, Speyer, and EH Harriman. EH Harriman started negotiating with James Speyer and Edwin Hawley for the purchase of the Huntington stock. Arabella Huntington and HE Huntington enter into an agreement to sell their SPCo stock (432,700 shares) for $22 million through Kuhn Loeb & Co, with initial payment in cash for 1/3 of stock on Feb 11, 1901, and second payment (with 4% interest) for remaining 2/3 of stock on July 10, 1901. 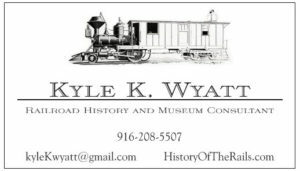 Buyer is HE Harriman’s Union Pacific RR – Speyer had lost control. Kuhn, Loeb & Co sold 750,000 shares of SPCo stock, representing 37.5%, to Union Pacific. HE Huntington reelected to board of SPCo at EH Harriman’s request, although he did not play an active roll in the management. Ending his last substantial investment in San Francisco, HE Huntington sold his stock in the Market Street Ry in the fall of 1901 to a Baltimore syndicate, the deal consummated in April 1902. The syndicate reorganized the company as the United Railways of San Francisco. James Thorpe; Henry Edwards Huntington: A Biography. Berkeley: University of California Press, 1994 (hereafter Thorpe), pp 92-94. Henry V. Poor; Manual of Railroads for 1893. New York, HV & HW Poor, 1893, p 1022; in part 2 Directory of Officials, p 134. The Official Railway Equipment Guide, Vol. VIII, No. 12, May 1893. New York, The Railway and Equipment Publishing Co, p 122. Thorpe, p 106. It may be that HE Huntington encouraged/engineered CF Crocker’s resignation. Thorpe, p 107. This was taken by the press as a sign of friendlier relations among the various representatives of the SPCo than had been the case in the recent past. Biennial Report of the Board of Railroad Commissioners of the State of California for the Years 1895 and 1896. Sacramento, 1896, pp 89-90. Report of the Board of Railroad Commissioners of the State of California, 1896, p 111. Annual Report of Commissioner of Railroads to Secretary of Interior for June 1900, p 9. Report of Commissioner of Railroads for 1900, p 9. Thorpe, p 142. This might have been a strategic error by CP Huntington, as it gave Speyer & Co. major control over SPCo. Thorpe, p 144; also p 155 on Tweed relationship with CP Huntington.